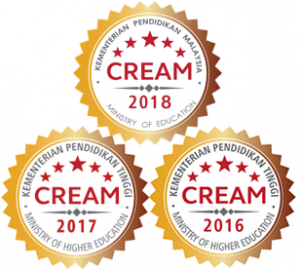 Journal of Physical Science, a publication of Penerbit Universiti Sains Malaysia (USM Press), has once again been picked as one of the recipients of the Current Research in Malaysia (CREAM) Awards 2018 by the Ministry of Education Malaysia. 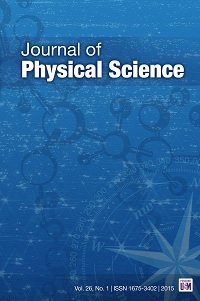 This is the third consecutive year the journal bagging the awards, after winning it in 2016 and 2017. 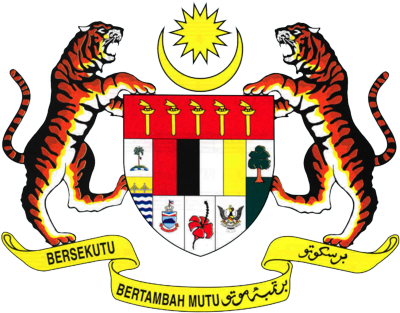 Introduced in 2015, CREAM Awards are accorded to identified scholarly journals in Malaysia showcasing high performance and promising potential. The award ceremony was held on 25 October 2018 at Sama Sama Hotel, KLIA, Sepang, Malaysia at 2.30 pm. 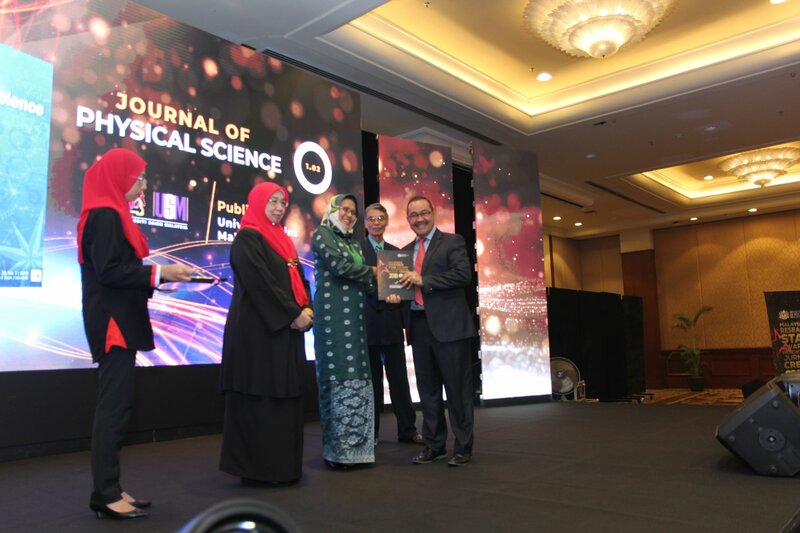 The Editor-in-Chief of Journal of Physical Science, Prof. Dr. Abdul Latif Ahmad, was present to receive the award.